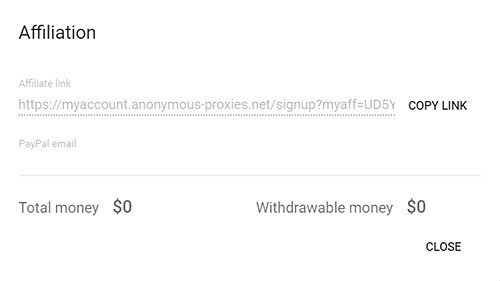 We have implemented a straightforward and no hassle way to become an affiliate for Anonymous Proxies. All you have to do is register for an account and you can start earning commissions right away. The first step to start earning from being an affiliate is to login to your account by accessing the Members section from any Anonymous Proxies page. 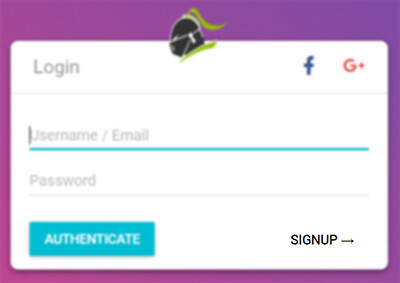 If you already have an account, fill in your credentials and proceed to authenticate. If you don't have an account yet, you must first sign up. The registration process is straightforward. 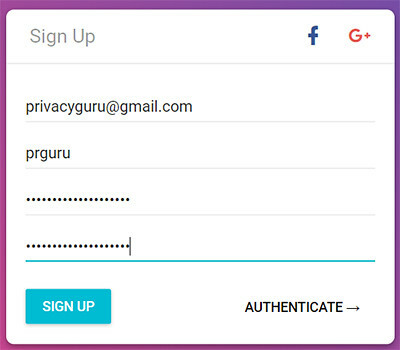 Fill in your email, the desired username and a strong password, then hit the Sign Up button. We'll send you an email to verify your email address. Once you click on the activation link, you'll be able to login to your account. After you logged in to your account, find the More Options Menu in the upper right corner of your dashboard (next to the Cart icon). Pressing the menu button will reveal more options. 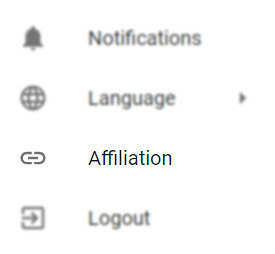 From there, click on Affiliation to access the affiliates window. The affiliation window will open and here you'll find all you need to become an affiliate. The Affiliate link is what we'll use to keep track of your earnings. All you have to do is copy the link and paste it where you want to promote our services (i.e. your website, blog posts, social media shares). Every time someone makes a purchase through your unique link, you'll receive a commission from the sale. Tell us where to deliver your earnings by filling up the email associated with your PayPal account. If you don't have a PayPal account, you can easily sign up for one by accessing the PayPal website. You can always change where to receive the money by typing your desired PayPal email address in the above section. The change will take place automatically. You'll receive a 30% commission for every sale generated through your link. You'll continue to receive the 30% commission for your cients' first 3 payments (they can either renew the order or make a new purchase). You'll basically get paid 3 times for each client that decides to stick with our services. When can you withdraw your money? To be able to withdraw the money from your account, 30 days must pass from when the sale was made. Once a sale is made through your link, you'll see your commission in the Affiliation window. Total money - This amount represents all the commissions you haven't withdrawn yet, including the money you can withdraw and the commissions from the sales that haven't exceeded the 30 days span. Withdrawable money - This amount represents the commissions that exceeded 30 days from when the sales were made. How can you withdraw your money? 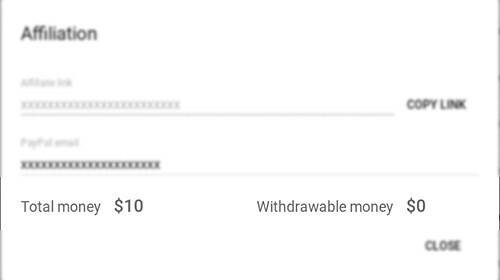 Once you have Withdrawable money in your account, make sure you added the PayPal email and hit the Request Payout button. Once you've made the request, we'll send the money to your PayPal account. The amount you withdraw will be substracted from the Total money and it will only display the amount that's not withdrawable yet. HTTP Proxies or SOCKS, Shared or Dedicated, Premium or Non-Premium, we have them all. We offer highly secure, (Dedicated or Shared/Residential or Non-Residential) SOCKSv5 and Proxies. Copyright 2009-2019 © anonymous-proxies.net. All rights reserved.